The inmate arrived at Auschwitz on August 19, 1942. “August 19, 1942. 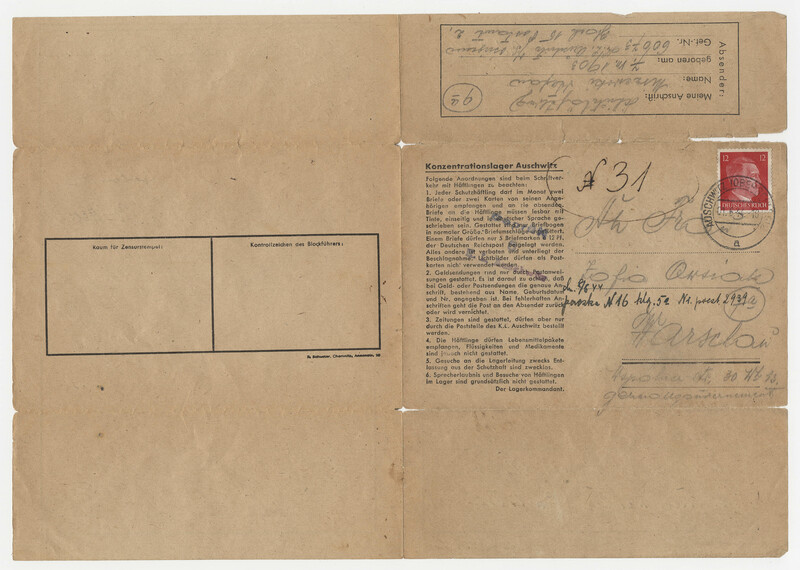 – 69 prisoners sent by the Sipo and SD of Warsaw from Pawiak Prison receive nos. 60043-60111” (Auschwitz Chronicle p. 223). 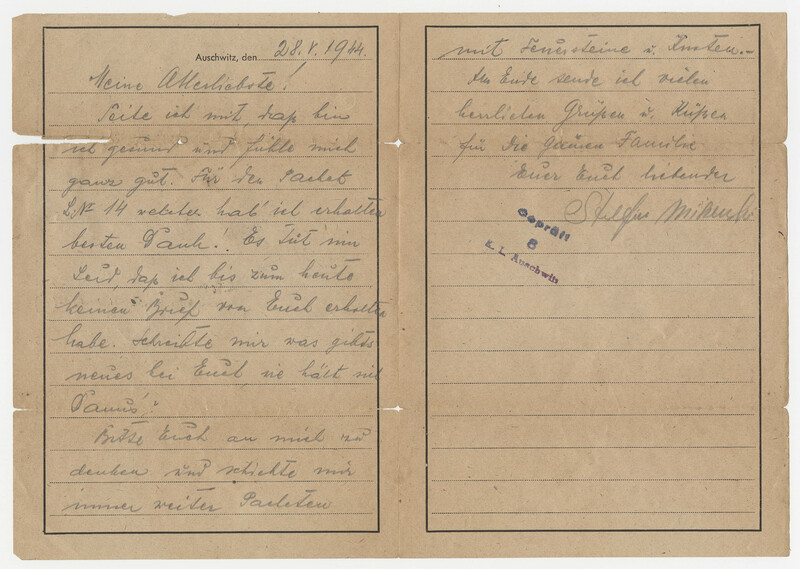 As noted for some letters, there is an answer from the recipient in German which follows the inmate letter. It is interesting to have also some of the incoming correspondence. All letters are addressed to Sophia Owsiak in Warsaw (Poland). There are also notes and markings on the outside of the letters concerning parcels and weights. The letters were numbered chronologically probably by the recipient and we have noted these numbers (which show gaps).